A mostly cloudy day with some brief periods of sunshine, very little wind and pleasant temperatures. Couple inches new snow from overnight and early this morning. There was just enough sun yesterday to put a crust on the sunny aspects, the high north facing slopes have some nice dense settled powder making for decent riding and turning today. 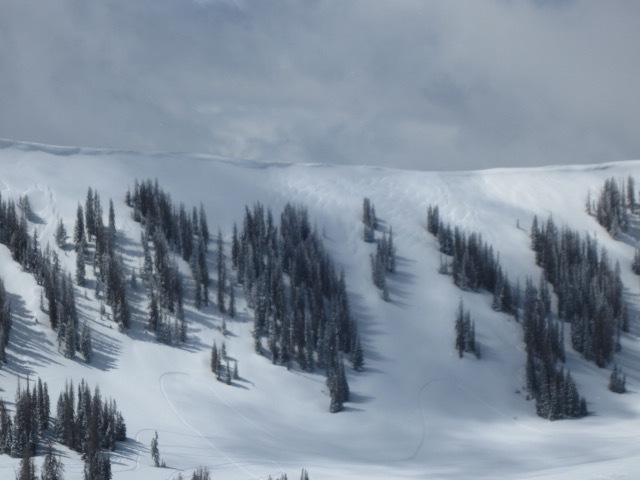 No big red flags today, very minimal heat issues with the cloud cover, the wind drifts seems pretty relaxed and only minor sluffing of the new snow on steeper north facing slopes. 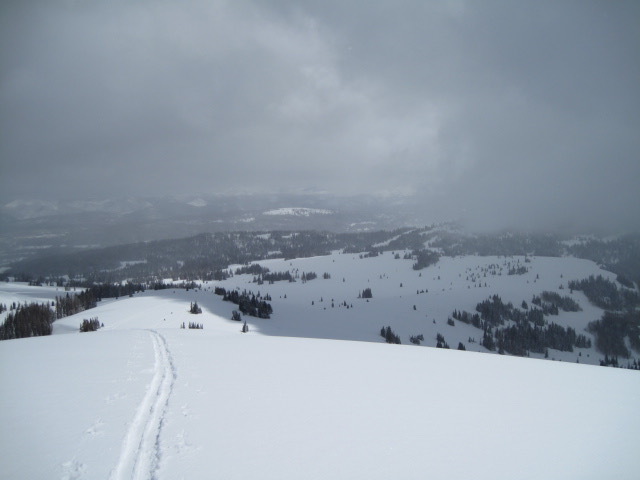 Tried to coax some of the wind drifts along the ridge lines, but nothing wanted to move and only minor surface sluffing of the recent snow. 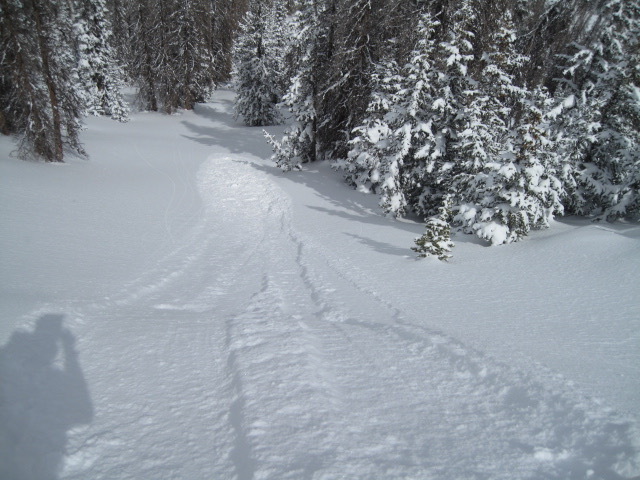 Sluffing could be an issue in very steep and confined terrain. 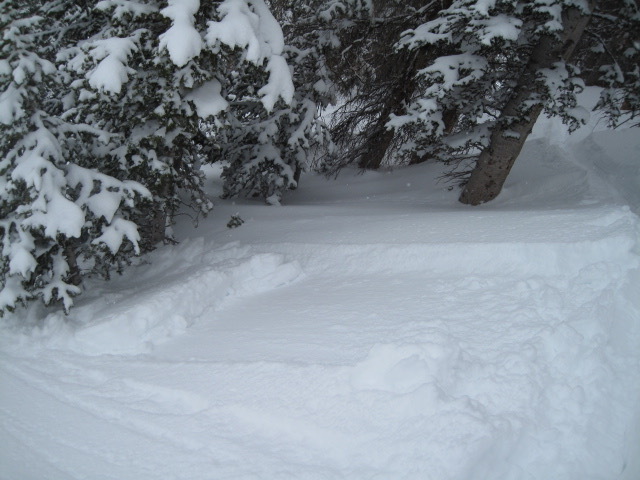 I think there are a few isolated wind slabs out there if you really went hunting for them. 1. It was a mix of sun and clouds today with cloudy skies more than sun. 2. Took this photo of a south facing slope in upper Whitney Basin and normally this time of year it would be full of brush and dirt patches. Only issue I found today was minor sluffing of the recent snow on high north facing slopes. 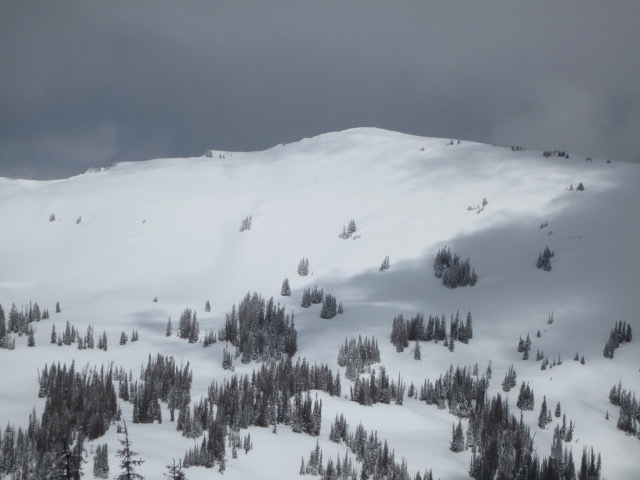 This upper elevation northeast facing slope is cross loaded form strong northwest winds early in the week and this would be a likely area where wind slabs are possible to trigger. 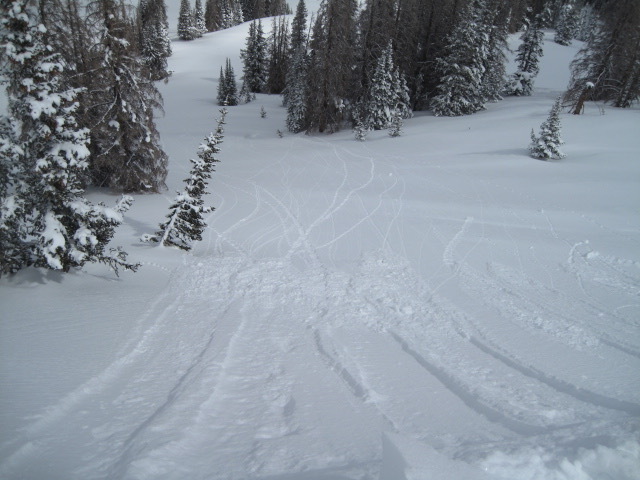 With day time heating, the new snow was beginning to act more like a slab and could be possible to trigger a soft slab avalanche.